Hard Graft's totally pointless conversation starter called the iMac Slipper is purely for decoration. There really isn't any need to get your iMac a leather slipper like this one, but hey, who am I to tell you what to do right? If you fancy this piece of leather, it will cost you €29.00 (that's about $42). 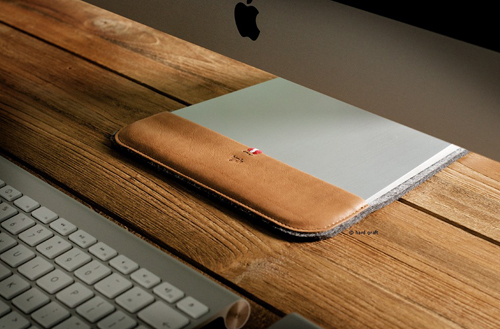 The iMac Slipper is handmade using Italian vegetable tanned leather and German premium wool, and will fit both the 24" and 27" iMac as well as the current Apple Cinema Display. Feeling cosy now, iMac?